AN IN-OFFICE TREATMENT TO REMOVE UNWANTED SPOTS. The CryoCorrect Treatment is a non-invasive dark spot corrector and skin tag removal treatment available at Santa Fe Vein & Med Spa. This treatment uses cryotechnology to gently freeze away unwanted age spots, sun spots, and skin tags from the face, hands, and body. 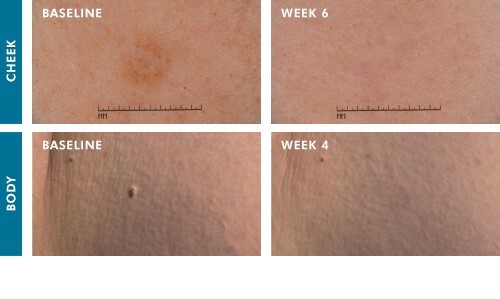 During treatment, the spot or skin tag is quickly frozen for 5-8 seconds. With little to no downtime and minimal discomfort, results can be seen in as little as 1 treatment. Ask our skin care professionals at Santa Fe Vein & Med Spa to determine if a CryoCorrect Treatment is right for you. PROTOCOL: 4–6 week study, on 72 women, ages 35–65, Fitzpatrick I–III. 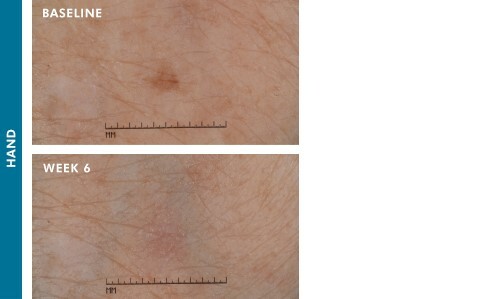 Subjects were divided into two cells depending on the skin lesion, dark spot (hand or face), or skin tag (body). 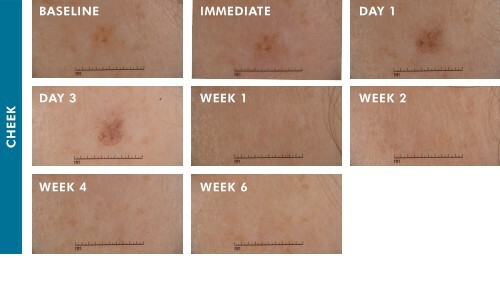 Subjects received one treatment from the CryoCorrect PRECISION device to the skin lesion from a medical professional. Subjects applied Phloretin CF once daily to the investigated area for 4 or 6 weeks depending on the cell. A CryoCorrect Treatment can help men and women remove stubborn age spots and sun spots that remain after completing a series of facials, chemical peels, microdermabrasion, or laser treatments. Before receiving a CryoCorrect Treatment, your skincare provider should individually evaluate if you are an appropriate candidate for treatment. How long does a CryoCorrect Treatment take? Each CryoCorrect Treatment lasts between 5-8 seconds. How many CryoCorrect Treatments are needed to see a result? CryoCorrect Treatment results can be seen in as little as 1 treatment with visible improvement in spot appearance in as early as 4 weeks. The CryoCorrect Treatment has been clinically proven to be an effective dark spot corrector by completely removing age spots and sun spots. It is also effective and safe for skin tag removal.